Charles Spurgeon has been called the “Prince of Preachers.” He preached to over 10 million people in his lifetime, and his written sermons have impacted millions more. Now available in the King James translation, the KJV Spurgeon Study Bible features thousands of excerpts from Spurgeon’s sermons, chosen and edited by Alistair Begg, in order to bring the richness of the Prince of Preachers’ insights into your daily study of God’s Word. Features include: Introductory biography of Charles Spurgeon, study notes crafted from Spurgeon's sermons, extracted sermon illustrations placed on the same page as the associated biblical text, sermon notes and outlines in Spurgeon’s own handwriting, “Spurgeon Quotables” inserted throughout the Bible, book introductions with book overviews in Spurgeon’s own words, topical subheadings, two-column text, concordance, smyth-sewn binding, presentation page, and full-color maps. The KJV Spurgeon Study Bible features the authorized version of the King James translation (KJV). The KJV is one of the best-selling translations of all time and captures the beauty and majesty of God’s Word for those who love the rich heritage and reverent language of this rendering of the Holy Bible. 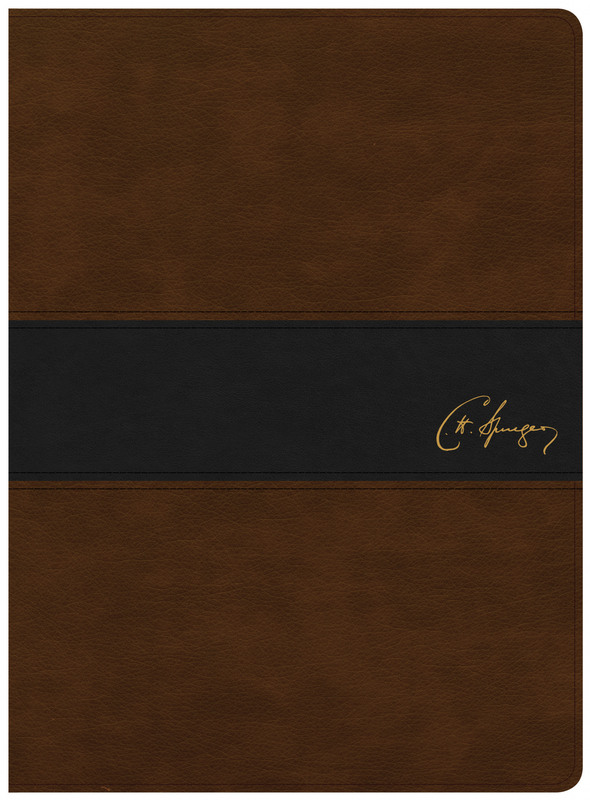 KJV Spurgeon Study Bible, Brown/Black LeatherTouch by CSB Bibles by Holman, was published by Holman Bible Publishers in December 2018 and is our 41933rd best seller. The ISBN for KJV Spurgeon Study Bible, Brown/Black LeatherTouch is 9781586409739. Be the first to review KJV Spurgeon Study Bible, Brown/Black LeatherTouch! Got a question? No problem! 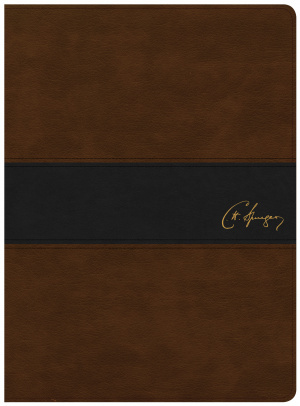 Just click here to ask us about KJV Spurgeon Study Bible, Brown/Black LeatherTouch.